For more than forty years now Noel Harper’s mighty Killamanjaro sound system has been a leading light in the dancehall world. The sound was started by Papa Jaro in 1969 and it’s name is derived from Africa’s highest mountain, Mount Kilimanjaro, and throughout their history they have constantly scaled great heights both in Jamaica and worldwide. As Killamanjaro’s set grew in size and popularity they started to recruit deejays with O Lord being their first resident professional mic man. As the seventies made way for the eighties so Killamanjaro marched onwards and upwards. A major plus for the sound occurred when Mr Harper recruited Ainsley Grey as main selector. Sadly we have yet to hear a full Jaro session dated earlier than 1982 but a typical dance around 1982/83 would feature such luminaries as Jim Kelly (b. Sylvester Morgan), the apprentice of O Lord, who by this time had flourished into a great chatter and the sets number one deejay. 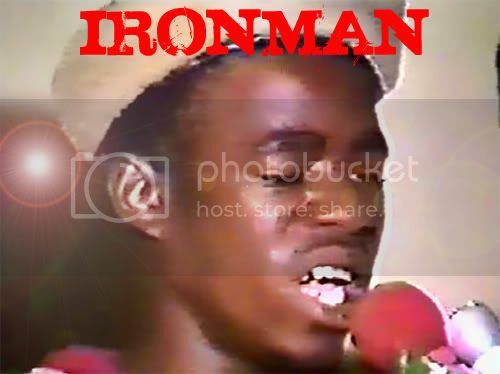 Other deejays on the scene at this time were veteran Lone Ranger (b. Anthony Waldron), Buro Banton (b. Donovan Spalding), who had two separate stints with the sound, Danny Dread and Dirty Harry. In addition John Wayne (b. Norval Headley) and Papa Tullo aka Tullo T (b. Everald Crawford), who were previously on Studio Mix sound, could often be heard at Jaro dances. As well as the deejays Killamanjaro also promoted singers around the set. Long time dancehall fixture Puddy Roots (b. Junior Smith), who had started out as a deejay Puddy Lion on the Arrows sound in the mid to late seventies, morphed into a singer who would appear on many of Killamanjaro’s crucial sessions in the early eighties. He would also be joined by U.U. Madoo, a singer with a voice almost indistinguishable to his older brother Madoo. These singers along with others like the sweet voiced Hopeton James and the “original” Thriller were always there to provide an alternative vocal refrain. Tragedy struck the Killamanjaro camp midway through 1983 when Jim Kelly was killed, yet another victim of the violence that permanently haunts Jamaican society. In time though the void was filled by, not one, but two top notch deejays Super Cat (b. William Marragh) and Early B (b. Earlando Neil). These sparring partners had been plying their trade away from Kingston on St Thomas’ King Majesty sound but they now took up residency on Killamanjaro, now one of the islands top sounds. From 1983 to 1985 Killamanjaro were near untouchable, especially when the “Doctor” and Super Cat were firing on all cylinders. New additions to the Killamanjaro family included Little Twitch, (b. Richard Wright) who’d started out at King Sturgav, and later Super Cat’s younger brother Junior Cat (b. Wayne Marragh). Midway through 1985 it was all change again for Killamanjaro. Skeng Don was assembling his Sturmars set and he managed to lure Super Cat, Buro Banton and selector Ainsley to his “supersound”. Early B remained in the fold, and so did Junior Cat and Dirty Harry, and over the next few years they continued to remain a “live artist” force. Patcheye took over the role of chief selector. About a year after this Jeremy Lee took over as selector and Killamanjaro were now being spearheaded by the emerging rudebwoy talent of Ninjaman (b. Desmond Ballentine), armed with his unique quick-fire “labbrish” style. In another move, they then added the experienced King Sturgav deejay Charlie Chaplin (b. Patrick Bennett) to their ranks. Killamanjaro continued to promote “live artists” on their set in the late eighties, even though times were changing in the dancehall. New regulars on the set included deejays German, Ironman, Daddy Shark, Supervisor (b. Augustus Sutherland), Hammermouth (b. Patrick Wedderburn) and musician Bugleboy. Perhaps the most important newcomer in the late 80’s was Ricky Trooper (b. Garfield McKoy) who joined as a deejay. He had been working as a deejay on the Creation sound as Screechy Trooper, but prior to that he’d been a selector from a very young age on sounds like Coptic, Volume One and Ultimate Touch. Their aggressive soundbwoy attitude won them many soundclashes but gradually the dancehall business changed as the juggling style took over and the dancehall performers became obsolete almost overnight. But Killamanjaro flourished in the sound war era with Ricky Trooper, who’d taken over from Jeremy Lee and by now one of the greatest selectors/MC’s ever, leading them to many victories over the other top rated sounds from all around the world. In 2000 Ricky Trooper branched out on his own, as Sound Trooper, leaving Freddy Kruger (b. Paul Francis) fronting Jaro until he left in 2004. Things continued with Hype, Crazy D, Genius and Danny, who is also an engineer at the Killamanjaro Dub Store studio which cuts dubplates for sound systems. Freddy Kruger is now back on Killamanjaro along with DJ Tarick. It’s now forty years on since Mr Harper built his sound and they are still a major sound system. For us though, the 1983-85 era is seen as the classic Jaro years, a time when the Killamanjaro sound well and truly ruled the dancehall. WCTD: Greetings Mr Harper, can you tell us of your earliest dancehall memories? NH: My earliest dancehall memories started in the early 60's. On public holidays I was allowed to go to fairs at the community centre with my older siblings. I was only interested in the music and the sound system. Later on my neighbour bought a sound system. Every time they set up I would go by them. In the mid 60's my brother built a sound system, and I was very excited about it. After operating for awhile, he migrated to the UK, and it was left with my father. At this stage I was really getting attached to the sound system. My father operated it for a while and then sold it. I made a promise that I would build my own sound system when I graduated from high school. WCTD: What year was this? Was it always called Killamanjaro? NH: I started my sound system summer 1969. I thought about several names and settled with Kilimanjaro, but it was later changed to Killamanjaro. WCTD: What area in Kingston does Jaro sound hail from? NH: We are based at 1 Whitehall Ave, Kingston 8. This is where our office is located. WCTD: What did the sound equipment consist of in the beginning? NH: I started it with a Sony integrated 90 watt amplifier, and twelve inch speakers and Garrard turntable. WCTD: Can you tell us how the set progressed from those earliest days and on into the seventies? NH: Immediately after I started, I got a lot of encouragements from friends, so I acquired 2 eighteen inch speakers and a Sansui BA3000 power amplifier. The response was so good that I had to continue building the sound system. I later added 2 more 18's, then I got a Sansui BA5000. Previously I was using single 18's. At this stage I started to build double 18's. At this stage the sound had 4 double 18's. I did not stop, I kept building and building until I had 8 double 18's and 4 Sansui BA5000. We operated with 8 double 18's for a long time, until we increased to 12 double 18's. WCTD: Can you remember who was the first deejay to appear on your sound? When was this? WCTD: Were there any other deejays alongside O Lord in the early days? NH: Yes, we had guys like, General Rat, Natty Paul, Calico & Lincoln who would pass through. WCTD: At what point in the seventies did Jaro start attracting the big name deejays. NH: The sound system started to attract deejays from the early 70's, but it was in the late 70's that the more prominent ones started to appear. WCTD: How did Jim Kelly come to Jaro? NH: O Lord was the first professional Deejay that was on the sound. He was the one that brought Jim Kelly to the sound. At first I was not impressed with Jim Kelly, but he progressed rapidly. He took his work seriously and was very aggressive with the mic. He was loved by many. WCTD: Did you have any favourite artists yourself? NH: Everyone had different styles, some I liked and others I did not care about, but they all had their fans. I had to work with everyone, so I avoided a favourite. WCTD: Can you tell us a little about Ainsley & how he came to select the sound? NH: As you know I had a regular 9 - 5 job and during the early 80's I needed some help with the operation of the sound. I had a friend by the name of Ted who told me about Ainsley. At that time Ainsley played a little sound system in Skateland, and he also worked at Aquarius record shop in Half Way Tree. I arranged to meet with him, and the rest is history. WCTD: In the days of sound clashing against other sounds with “live” artists, was it friendly rivalry or did things sometimes get out of hand? NH: In those days sound clashes was friendly rivalry, and once in awhile thing may get a little out of hand, but it was easier to resolve in those days. WCTD: What was the first significant clash that Jaro was involved in? WCTD: The other really significant clash's that spring to our minds are the 2 in 1984 vs Gemini and then later on in the year vs Volcano. Can you recall the story behind them and what are your thoughts on the outcome of them. NH: I do not remember much about the Gemini clash except that we won it, but the Volcano clash was exciting. At that time Volcano had a big hype, it was doing very well, and the owner Junjo Lawes was a leading record producer with many of the top artists in his camp. The clash was held on Maxfield Ave, and it was a very big dance, at one stage Volcano was leading, and then we took the lead, and eventually won the clash. WCTD: Throughout all the time you’ve been involved with Killamanjaro which has been your favourite era and why? NH: Throughout all the time with the sound, my favourite era was the live deejay era. The sound started during this time and it was like a stage show. WCTD: Do you think that the days when deejays and singers learned and performed live on a set, will ever return? NH: No, the culture has evolved, and I do not believe those days will return. We would like to thank Mr Harper for all the help he has given us in getting all of this together, thanks Boss we really appreciate it. “Another big meeting at a pre Christmas dance held at Skateland and this time we have audio from both sounds. Ainsley is armed to the teeth with specials from the likes of Rod Taylor, Sammy Dread, Don Carlos and, of course, Johnny Osbourne with the famous “Reasons” dubplate. John Wayne, now in Jaro’s fold, gets a lot of mic time and shows great style in “Christmas A Come”, “Later Will Be Greater” and “Nah Walk In No Bad Boy Posse”. Sassafrass rides a series of Studio One dubs and his “DJ Gone Pon Tour” is a standout lyric on the Bandulu” riddim. Jaro’s reputation is boosted by an array of artists like Lee Van Cliff, youngsters Billy Boyo and Lady Ann and General Plough, who’s “Killamanjaro Don’t Fear No One” especially not Arrows. ”Another soundclash in Skateland and it’s time for Emperor Faith to feel the heat of Jaro’s fire. Ainsley has a box chock full of Jaro “specials” and he’s not being shy with them. Aired here are dubs by Don Carlos, Sammy Dread, Carlton Livingston, whose “Play By Papa Jaro Alone” is brand new, and of course the killer Johnny Osbourne missiles which could win most dances outright. John Wayne’s familiar voice is heard throughout, hitting home in pieces like ”A Wa Do Me” , “You Too Nasty” and “Merteler”, while Lee Van Cliff struts his stuff deejaying and singing his way through “Rock It So Well”, “Ain’t No Stopping” and “Listen Mr Cliff”. "Jaro comes to the town of Braeton in the parish of St Catherine and tonight they have the talents of Lone Ranger and Jim Kelly around the cotnrol tower. Jim Kelly's very much influenced by Ranger and amongst his many pieces are stand out tunes like "Dedicated To Us","Prophecy" and a rousing "Braeton Calypso". War 1", "Talk To Mucking Fuch" and "Watch Out Mr Gateman". He even throws in a reference to trouble at his previous sound in "Shame & Scandal On The Virgo Posse". Deejay John Steele makes a solitary appearance on "DiscoverJamaica" and there's an early performance from U.U. Madoo who sings of the girl "Pauline" on a recut of "Bobby Bobylon". Ainsley keeps the selection crisp with music from George Nooks and Sammy Dread and Ranger and Kelly provide the Braeton-ites with excellent live entertainment." “The 3 Piece Lawn at Naggo Head was a popular venue on the dancehall circuit with the top name sounds often passing through. This evening’s entertainment came just before another Jaro clash with Arrows, the deejays and singer, give good performances here. Jim Kelly and Danny Dread really rule this tape, both taking turns to rock the dance. On “Killamanjaro Soca” Kelly shows everyone his fast style skills on the ever present “Never Let Go” riddim, while the Dread details the “Water Shortages” in the parishes. Echo Minott manages to grab the mic to version his breakthrough single “Man In Love”. “Whilst pooling our tapes together we’ve quite often assumed we’ve both got the identical tape of the same dance. But on this session it turned out we were both holding different parts. Now with a running time of over 3 hours, this early June dance, held at the McIntyre Centre in the Dunkirk area of Eastern Kingston, has also attracted Peter Metro and the Metromedia posse and they join the Jaro regulars to present a dancehall delight. The highlights are many with singers U.U. Madoo, with “Farmer Man” and Puddy Roots sounding good on the mic, with “Give Me The Right”. Ainsley has all the top “specials” at hand and the deejays don’t disappoint either. Metro, as ever dominates proceedings, especially on pieces like “Big Brain” and “Can’t Keep A Good Man Down”. Not forgetting John Wayne, coming strong with lyrics like “True She Fat” and “What A T’ing” and the ever reliable Jim Kelly voicing passages like “After 1, After 2” and “Badness A Madness”. “The Love Shack Lawn is the venue for this excellent Killamanjaro session. Ainsley is running tunes from Dennis Brown, Little John, Hugh Griffiths and Linval Thompson and the “live” artists don’t hold back. The not often heard deejay John Steel gets a chance to rock it and he chats pieces like “We A Superstar” and “You See We”. Towards the end Yellowman steps into the dance and he drops his hit lyrics “Ribbit Mi Hand” much to the crowd’s delight. The tape is tinged with sadness though as its the last time we hear Jim Kelly in action. He doesn’t hold back here, lambasting irresponsible parents on “Baby Father” and, ironically, one of his last lyrics has him lashing out at the gun pests in “Go Weh With Badness”. I had next 90 minute part of this one that sadly has gone missing, if anyone has a copy of it we would really appreciate if you could send it to us to add to the site. The part I had continued on from this one and mostly featured Yellowman on the mic. “Originally touted as 1984 but very much an ’83 session. Held in Buff Bay, the Jaro crew, consisting of three deejays and two singers, pack out the Seawave Club. Jaro’s dynamic duo Early B and Super Cat boss the mic with ease over Ainsley’s crucial musical choice. “Watch Jaro Sound” is Puddy Roots’ salute to the ever rising champion sound and he gets forwards from the crowd for his “Letter To Mummy & Daddy”. “Super Cat is now a regular star for Killamanjaro and on this session he’s on good lyrical form getting “forwards” from the crowd for “Chant Down Babylon” on the “Freedom Blues” rhythm. His hailing of “Jamaica 21” anniversary gives us a clue as to the date of the dance too. The late Hugh Mundell and his sparring partner Junior Reid pass through for a couple of numbers, Mundell versioning “Reasons” and Reid tackling the “Some Guys” standard. John Wayne is relentless in his “Title” passage and Major Manzie finishes this hour long excerpt with “Come Along”. “Jaro are live at the spacious Cinema 2 venue in New Kingston and there’s a good turnout of entertainers for the MC Duke Williams to introduce. Early B excels on the mic, with pieces like “Gone In A Bible”, “We A De Don” and “Learn Fe Drive” showcasing his great talent. His spar Super Cat comes with his counteraction “Learn Fe Ride” as well as a storming “Politician, Politician” on the “Keep On Moving” riddim. Sturgav duo Charlie Chaplin and Josey Wales are called for but Josey is a no show, so it’s left to the “Principal” to chat some of his hits like “International Robbery” and ”Leggo Me Shirt”. “This is Jaro appearing at the Donald Sangster Centre in May Pen and the deadly duo of Early B and Super Cat are now firmly running things for Papa Jaro. Riding some great tunes from newer singers like Clarence Parks, Robert French, Trevor Junior and Rod Taylor all selected by Ainsley, the “most crucial operator”. Early B comes forward with tracks like “A No Any Gal”, “Can’t Keep A Good Man Down” and his wicked “Learn Fe Drive” before Apache Cat adds his “Learn Fe Ride” to the proceedings. One of Jaro’s top singers Puddy Roots graces the dance too, offering the singer’s perspective with; “Crooked Man”, “Meet Me By The River” and “Come Out Of My Life” sung on a wicked new dancehall cut of “Cuss, Cuss”. It’s a big sound clash in Half Way Tree as Papa Jaro takes on one time champ Daddy Gemi, and it’s a case of the new school running things. Most people have Jaro as winners of the clash, Mr Harper told us that indeed Jaro came out on top this night in Skateland. Lyrically Jaro’s deejays were miles ahead and personally I prefer Ainsley’s selection. We have 2 parts to the Gemini side here so you can make up your own minds. Highlights include some wicked Johnny Osbourne dubs including the massive ‘Skateland murderer’ over the ‘real rock’ rhythm and ‘Papa Jaro sacrifice the barber’ over the ‘Ali baba’. Another highlight is when Ainsley drops the Anthony Johnson dubplate special ‘she’s my baby’ over the ‘full up’ rhythm and Supercat dedicates it to “all DJ’s who run off them mouth” then you hear him say to Ainsley off the mic “just mix me down proper and me gwine fix the bwoy Squiddly’s business” Over the version the apache gets the crowd bawling forward when he drops pure almshouse lyrics straight to his head. Early B is in a rare almshouse mood also as he tells the Skateland massive that Squiddly got his gold chain from pirating ‘history of Jamaica’ before dropping a dread version of his ‘visit of Selassie I’ in which he gets in some cussing of Squiddly & Peter Metro. “There’s a big showdown on Maxfield Avenue, most probably at Frenchies Lawn, and it pits Killamanjaro against another of Kingston’s top sounds, Black Star. Jaro’s side of the dance sounds like it is quite early on in the proceedings, with not much in the way of soundbwoy lyrics, but it’s still a lively affair. Each sound has their own Danny Dread around their set, and Jaro’s D.D. follows Leroy Smart’s live vocalising and coming strong with “Bubbling Time” and ”She Just A Play Hard”. Early B and Super Cat enter the mix in fine style and Peter Metro also links up, guesting and impressing, on “Better She Gwan”. As the Don says, ”Dance A Fe Cork”. “Another Jah Thomas promotion at Skateland with Killamanjaro and this one was being recorded for a live LP that sadly never saw the light of day. With Super Cat and Buro Banton in New York, it’s left to Early B to take the lead which he does in fine style, fighting against bad landlords in “Owner Man” and flashing favourites like “Sunday Dish”, “Operating Theatre” and “Pedestrian”. Dicky Ranking is prominent too, especially on “Preacher Man” on the Studio 1 “Won’t You Come Home” riddim. Briggy, the “General” steps up to the Jaro console and shows he’s mastered the fast style in “Can’t Stop Jaro Again”. Here we have Killamanjaro on top form mashing up Skateland in a dance alongside Metromedia. The 'Doctor' and 'Apache Cat' are on fire as are the rest of the Jaro Posse and with special guests like 'The Don' Mr Smart and the waterhouse singers, Junior Reid and Half Pint in attendance, you can see why they where very hard to beat back then..
Jaro are playing at the Tropics Club again and there are lots of Big names passing through, The most unusual of them being Saxon MC Philip Levi who is in JA from the UK. Some great selection from Ainsley and with a line-up like this you know it's going to be WORRIES!! “A bumper line up for this Friday night jamboree gives us another top Killamanjaro experience. A nice mix of singers and deejays and Ainsley’s wicked ’85 selection, that includes shots from Wayne Smith, Michael Palmer and Dennis Brown, are the reasons why. On “Tom Drunk” veterans Sassafrass and Ranking Joe turn back the clock chatting in an old time style while the “Texas Ranger” Dirty Harry excels on “Don’t Follow Rumours”. Junior Reid’s solo career has been on the rise and here he versions “Poor Man Transportation”, “Forget About War” and “Mini Bus Driver”, a tune he first voiced as lead singer of the short lived group Voice Of Progress. Towards the end Yellowman steps in the dance and just manages to let us know that he’s a “Walking Jewellery Store”. Part 2 of this Wicked session and on this one we get a great section where Ainsley drops the massive 'Sleng Teng' & all the artists line up to do their thing over it.... Classic Jaro stylee!! We have two different copies of this one to present to you. This is quite an interesting one as its shortly after Supercat and Ainsley left Jaro for Skeng's Sturmar Roots. You hear Cat talking about what a hard decision it was for him to go and that any time Jaro plays against another sound, that he will be there with them. This is another one I got from the tape vendor in Montego Bay in 1990. I'd forgotten all about it and found it in a box of tapes the other day. The tape is marked Jaro vs Silverhawk part 2 and it is a bit more of the famous clash between the 2 sounds. Its real nice quality but sadly only 60 minutes long. It starts at the part where Jaro are playing the answer rhythm, but carries on a bit longer than the usual first part. Ninjaman, Daddy Shark, Hammermouth, Ricky Trooper, John Wayne, Bugle Boy, Junior Cat, Ruddy Irie, Lenky Roy, Dickie Ranking, Joe Lickshot..